We here at The Blue Adapter believe that the Neurio is the best bang for buck for most people. However, it might not be the best one for you, read on to learn what sets them apart and which one will be best for your needs. Installation for both the monitors is almost identical. Are installed completely completely in the breaker box area. Have two current sensors (4 for solar). Require connection to an available breaker for the voltage sensor. I’m tempted to call it a draw. There is one difference though, the Sense monitor and current sensors are physically larger than the Neurio’s. This makes the Sense more difficult to install and may mean that you have to install the monitor outside of your breaker box. The Neurio offers a web interface, something that the Sense does not provide. Depending on how you interact with your data, this may or may not be a big deal for you. Personally I really prefer the ability to see everything spread out on a PC monitor. If you’re interested in how much your electricity is costing you (and how much you are saving), the Neurio does a much better job of giving you an accurate picture. The Sense allows you to input one rate and that’s it. The Neurio lets you input multiple tiers and taxes. If you put in your details correctly, the dollar amount indicated by Neurio should match very closely with your actual bill. The same cannot be said for the Sense. Sense has chosen to really lock down the data. The monitor encrypts it using 128 bit AES encryption. This means the data is not accessible to anyone except Sense. Neurio is much more open. It’s got a public API and allow users to interact with the sensor’s data directly. This makes it less secure and more prone to hacking than the Sense. However, the openness means that it allows for far greater customize-ability than you’ll ever get with the Sense. The current usage graph is very similar between the two monitors. They both react to a change in electricity within the second. The Sense graph allows for pinch zoom while the Neurio does not. For the Sense, this makes it much easier to customize the graph to your liking. It’s also a lot easier to get an accurate reading on the graph. The Neurio gives you an idea of what your electricity usage looks like compared to other houses of similar size. I appreciate the ability. It can be a real motivator to feel like you’re in competition with other people. Sense appears to have a more enthusiastic development team. It looks like the Sense team bring out updates more frequently. They are also more active in listening to user’s feedback. With Sense, it is less likely that your suggestions or requests will disappear under a digital pile of moldy Excel files. There’s actually a pretty good chance that the development team will incorporate them in a future update. While the Neurio Home app is solid, the team seem to be less responsive to users and not as quick to update with new features. 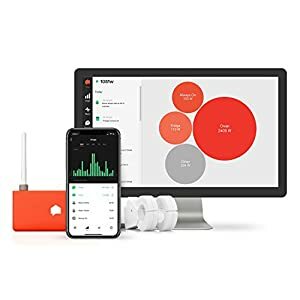 On first glance, it appears that the Sense Energy Monitor should have the edge here. It includes IFTTT and Alexa support out of the box whereas the Neurio only has IFTTT support. If we dig a little deeper however, we see there is actually a lot more to consider in this department. You only get one IFTTT trigger for the Sense, that is ‘device turned on/off’. This is a very powerful trigger and allows you to do a great many smart things. The problem is that the device monitoring still has it’s issues and having the only trigger relying on it could make the feature useless for some people. Neurio has gone the opposite route. Even though the monitor has the capability to sense individual devices, there are no triggers related to that feature. Instead all the triggers are related to the whole home energy usage. So if total usage spikes above a certain level, for instance, you can use that to trigger an action. The Neurio does not have Alexa support. Sense does and the support is well thought out. If you like talking to your electronics, Sense is the one for you. One very significant feature that the Sense is missing, however, is a public API. The Neurio has this and it really opens it up to so many more opportunities. If you’re into electronics and you’ve gone out and bought a Raspberry Pi, you can use it to directly access the Neurio’s data. If you’re into spreadsheets, you can download the CSV and make graphs and tables to your heart’s content. Even if programming isn’t your thing, lots of people have already written software that allows the Neurio to communicate with a huge number of devices. One thing to keep in mind is that code written by users is rarely thoroughly tested. It is very unlikely that the software will be as robust as software written by the manufacturers. The Sense monitor encrypts all the data before it sends it anywhere. This is great for security but makes it pretty much impossible to do anything with yourself. If you have existing smart devices, the chances are much higher that they will integrate with the Neurio. They both offer WiFi, 802.11b/g/n. You’re not going get much difference in range between the two.They both measure watts and voltage so they’re both pretty spot on with their readings. You won’t find much difference between them with regards to whole home energy monitoring. The primary difference between the two is the appliance monitoring capabilities. The Sense can detect appliances as low as 5W and it’s 400W for the Neurio. That’s a considerable difference. They’ll both detect you’re stove and your washer but the Sense will be able to detect individual light bulbs. Once the Sense has locked on to a device, it is much less easily confused than the Neurio. 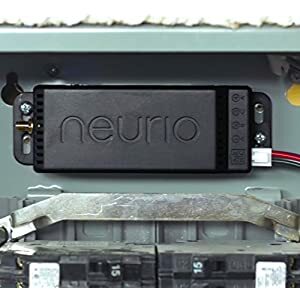 The Neurio has trouble when there are a lot of appliances on or many appliances are turned on at once. The Sense does not have these problems (it’s not perfect mind). The appliance monitoring on the Neurio can be set up in an afternoon, it takes some effort but when it’s done it’s done. The Sense takes many months to learn the appliances in your house. In its current state, even after a year, it will still be missing a large number of appliances. If individual appliance monitoring is highly important to you, get the Sense. 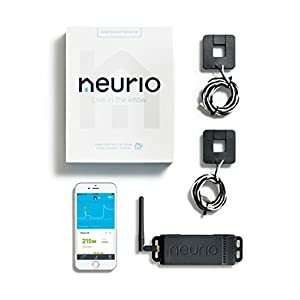 When you take into account the extra fee to give the Neurio appliance monitoring capabilities, they cost about the same.So, the question I’m sure you’re asking ‘which one should I get?’. The answer is ‘it depends’. That said, neither of them are stellar performers so if this feature is really important to you, you’re better off waiting for the technology to improve. Alternatively, you can go for something that will monitor individual circuits like the Curb. If individual appliance monitoring is not important, then Neurio is the clear winner. You might want to proofread. The word monitor is spelled incorrectly in the main comparison chart. You also miss using the Neurio in your Interface > Development section. Just noticed these two in about a minute.. I have been researching both of these units trying to figure out which one to purchase. As this comparison was made a year ago, is it still accurate with any new features, updates and integrations both products have introduced over the past year? The hardware has remained unchanged but there have been some cosmetic changes to both apps. The Sense in particular has a slightly more modern feel and more appealing icons. Thanks for the heads up, I’ve updated the table.